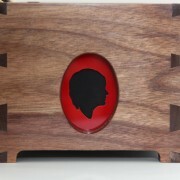 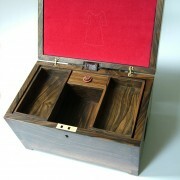 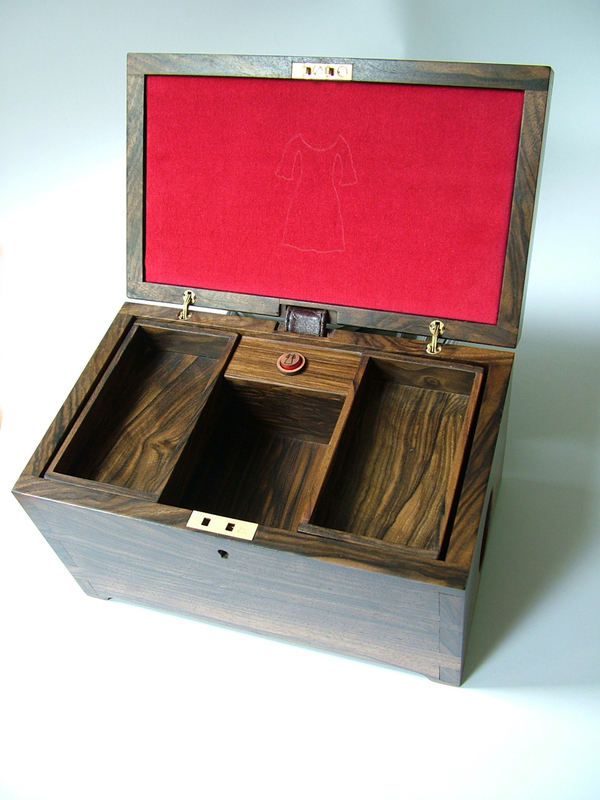 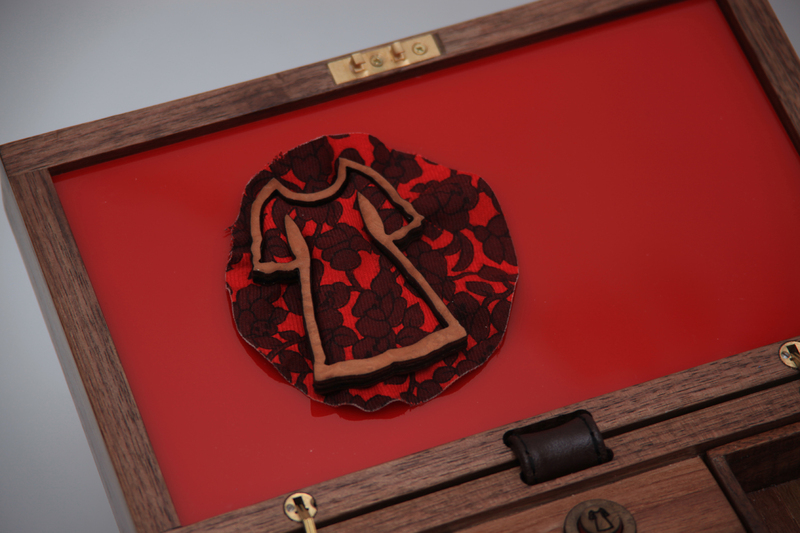 These personhood boxes were made for Jayne Wallace and the Culture Lab, and house emotive jewellery and objects which have special significance for the particular dementia sufferer. 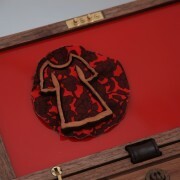 In one instance, the fabric off-cuts of old dresses helped trigger memories of when they were worn which were recorded in that instant. 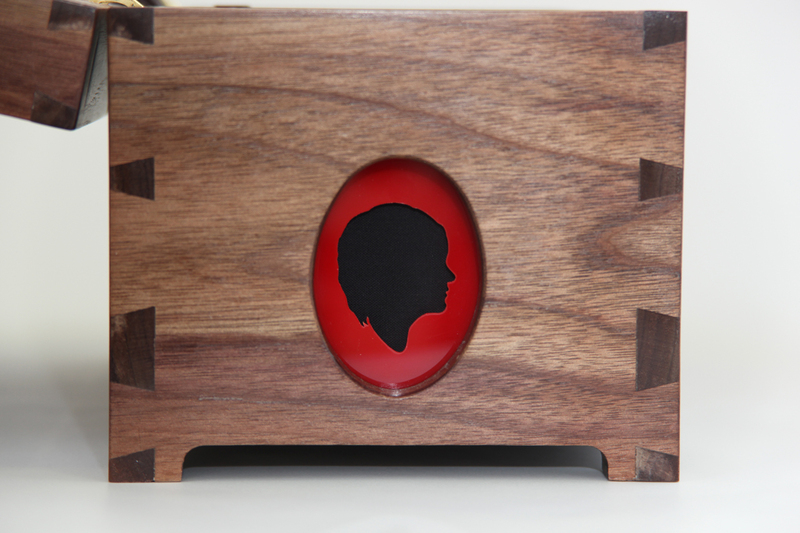 The boxes can record audio memories and play them back to the user. 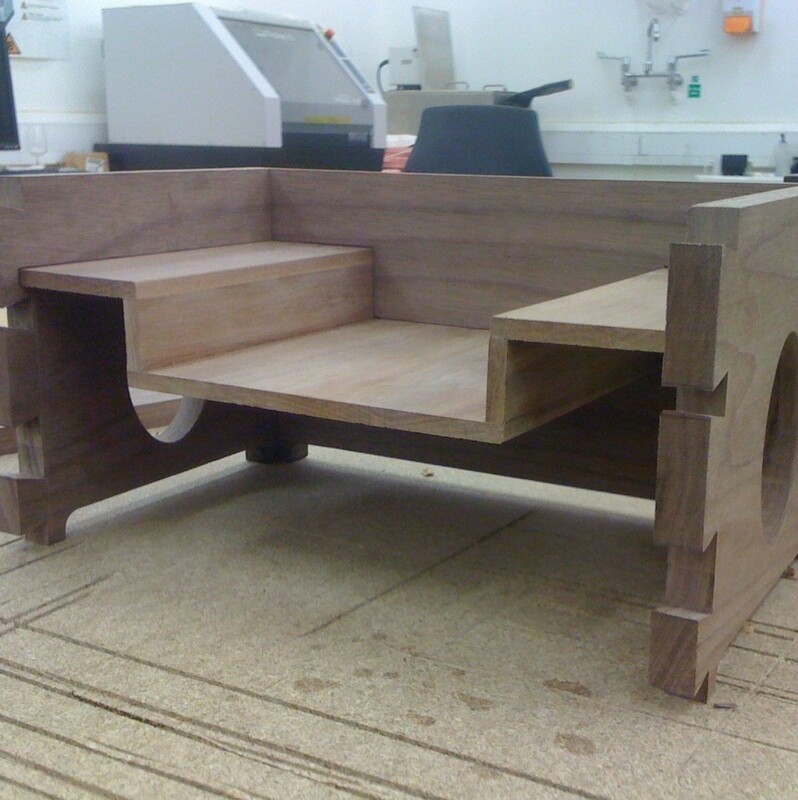 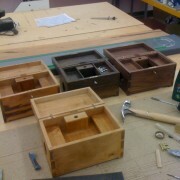 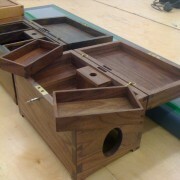 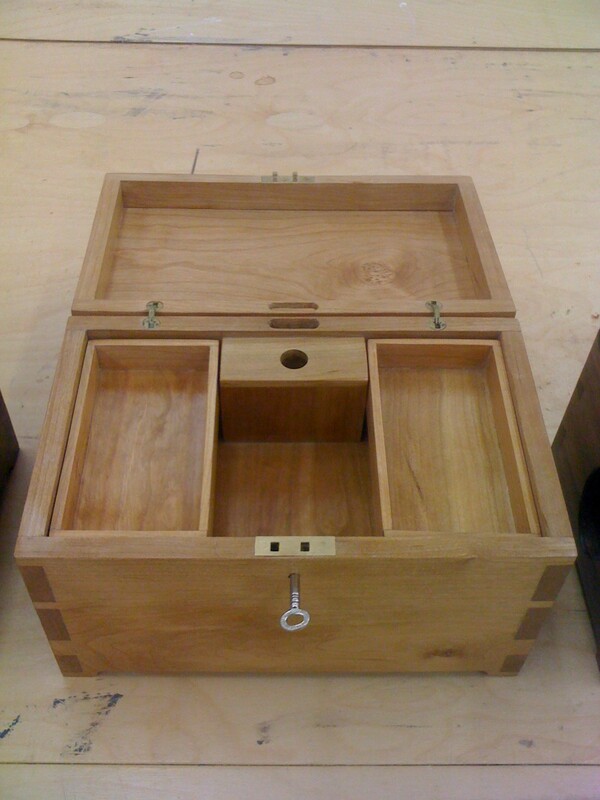 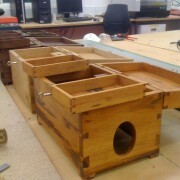 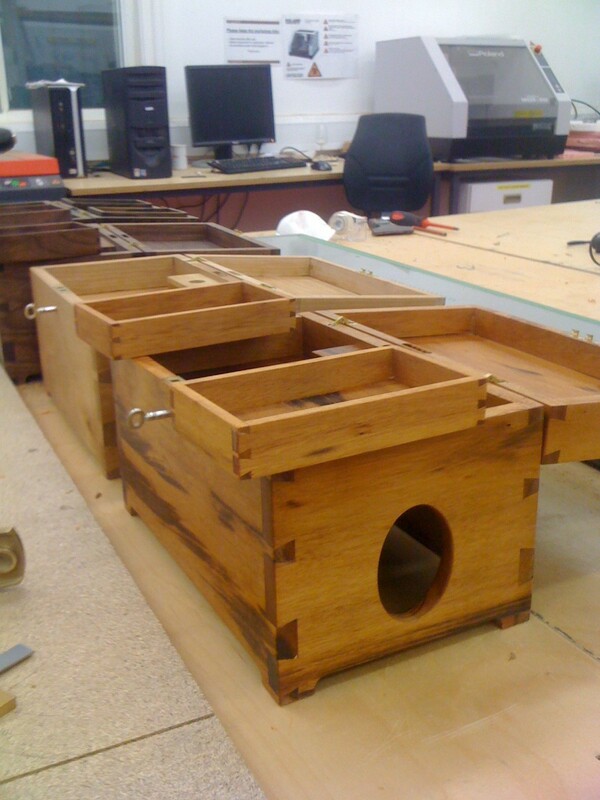 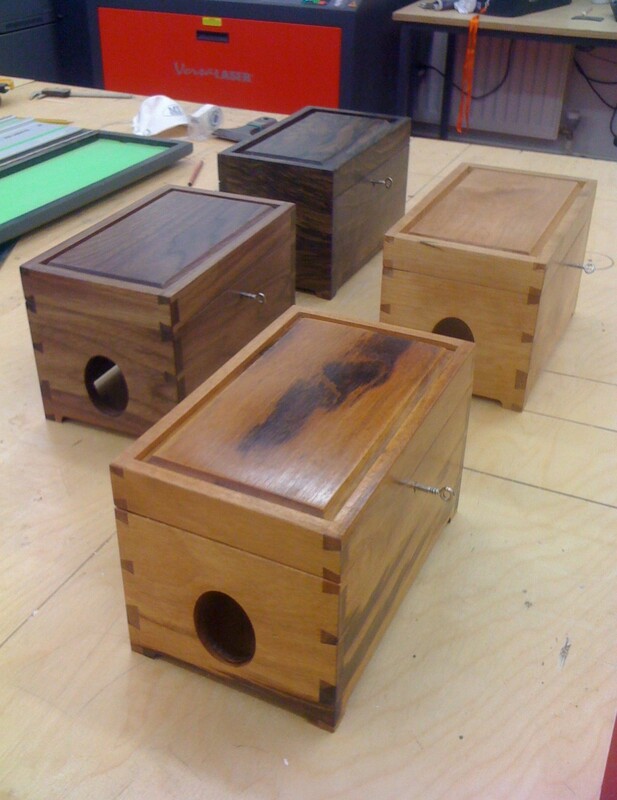 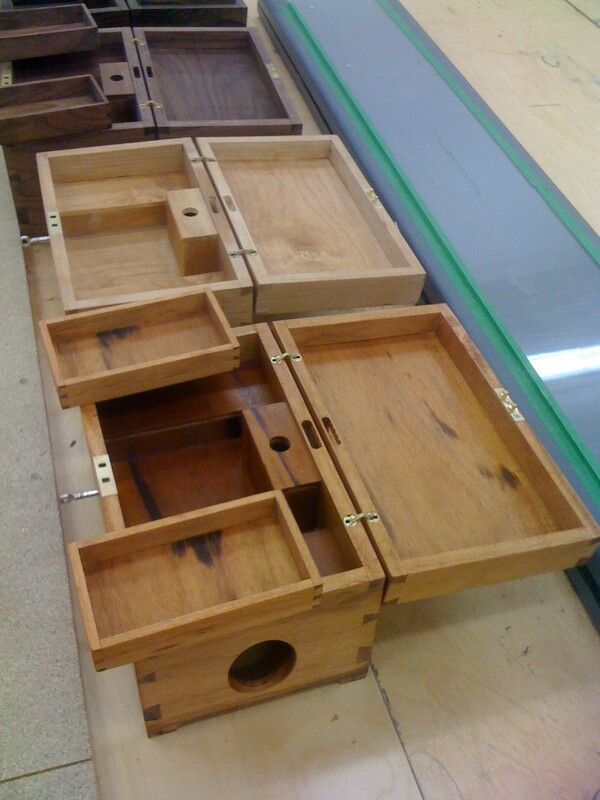 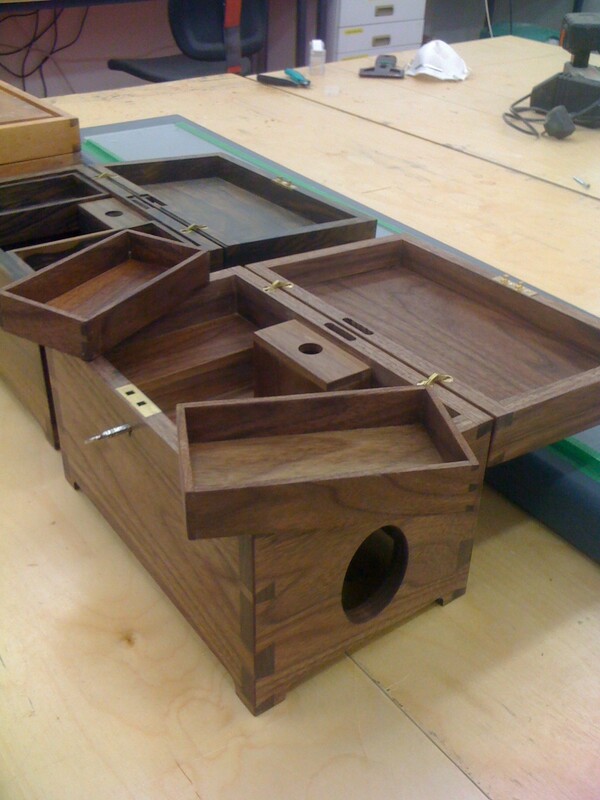 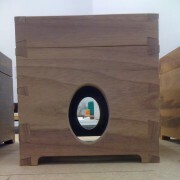 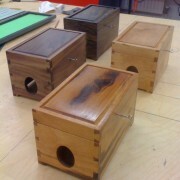 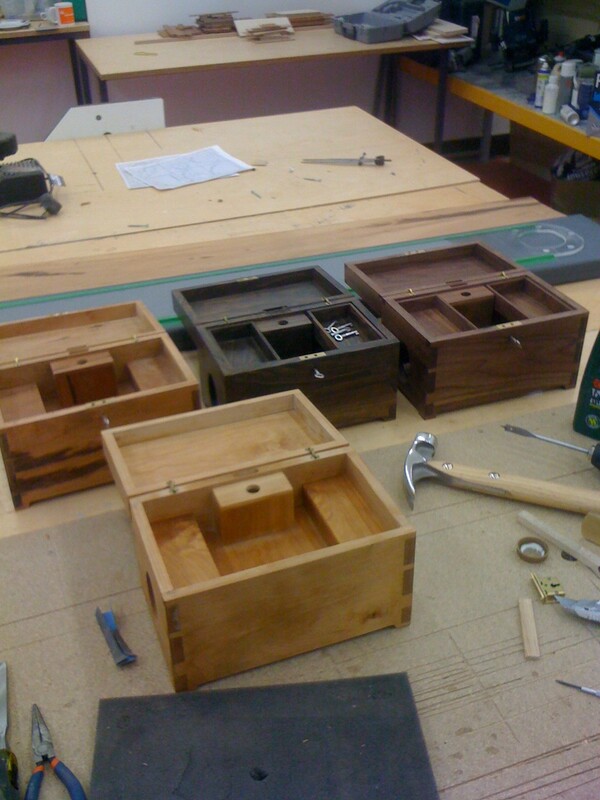 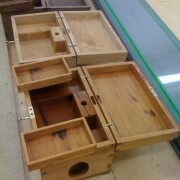 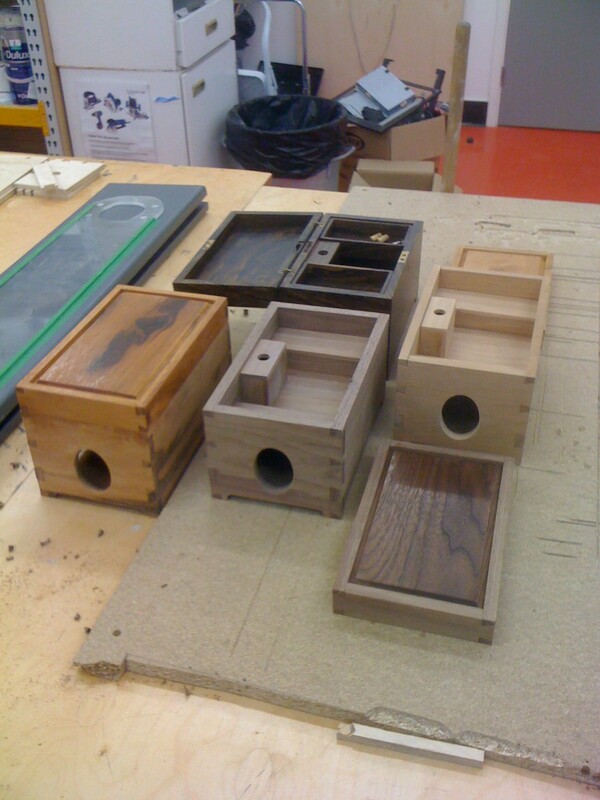 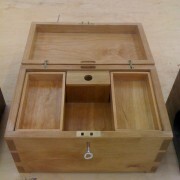 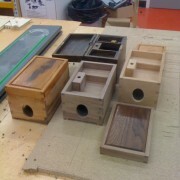 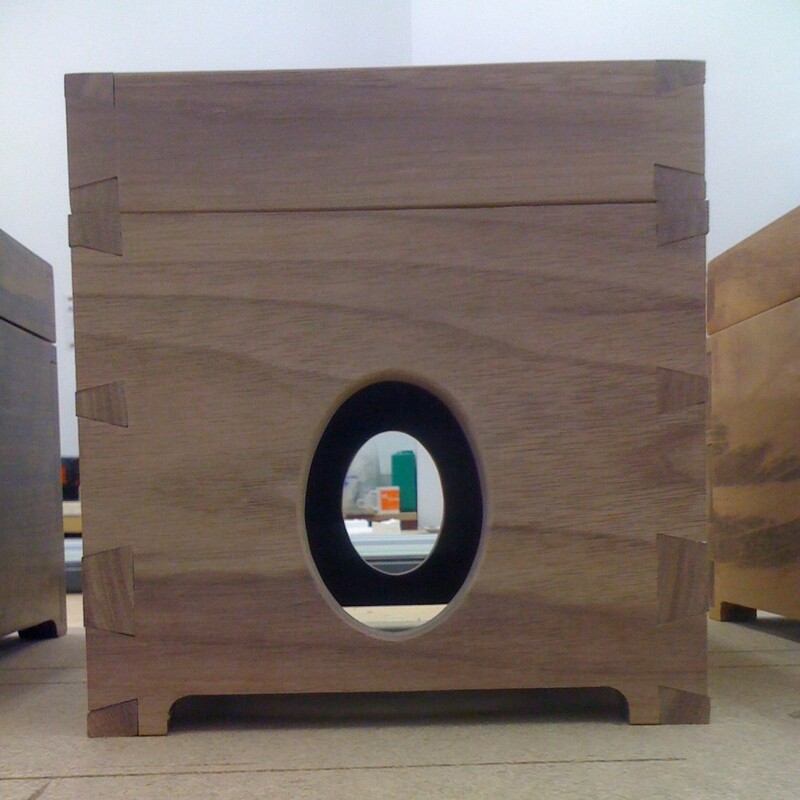 These images show the dovetail boxes at various stages of completion, and were made in walnut, cherry and goncalo.